For years, when replacing anterior teeth with dental implants the long axis of the implant does not coincide with the long axis of the restoration and the aesthetics of the restoration can be compromised. Today, the Co-Axis® Implant by Southern Implants accommodates for the anatomical structure of the anterior maxilla to provide a simplified restorative treatment and preserve tissue for a natural aesthetic appearance. This is referred to as Subcrestal Angle Correction™. It is available in 12° and 24° angle corrections in multiple prosthetic connections and platform diameters. Co-Axis Implants are screw-retained restoration friendly by allowing the screw access towards the palatal. This is ideal for immediate loading protocols. 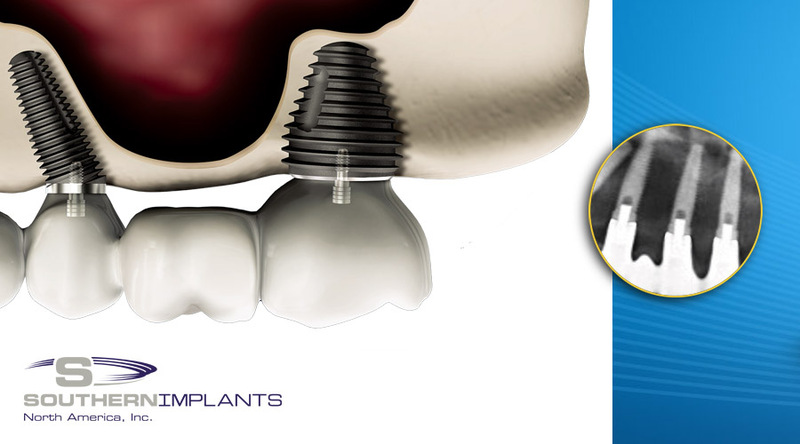 Read more on the Co-Axis Implant.